Benidorm: Livestream Playa de Poniente, 0.3 mi. Benidorm: Beach of Benidorm - Alicante, 0.3 mi. Benidorm: Livestream Playa de Poniente South, 0.4 mi. Benidorm: HD Stream Levante Beach, 0.5 mi. Benidorm: Playa Poniente Benidorm, 1.6 mi. Alfaz del Pi: View of the Mediterranean Sea, 3.3 mi. Albir: Beach of Albir - Sierra Helada, 4.4 mi. Albir: Beach of Albir, 4.4 mi. 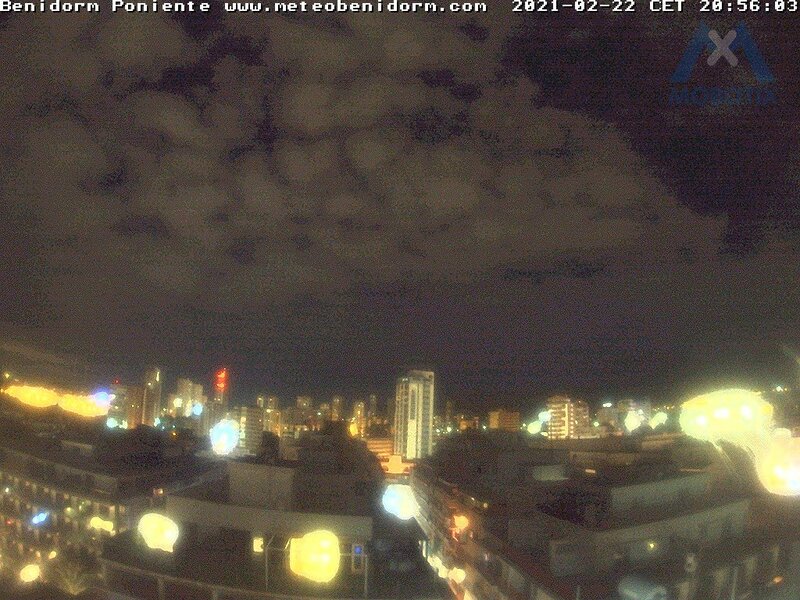 This webcam Benidorm with the theme City Views was added on February 4, 2014 and is operated by MeteoBenidorm. It got 3231 visitors since then. Shouldn't this webcam work or should the link be wrong please report that here. You can add this webcam here to myCams.